In addition to providing us with a substantial amount of useful and timely news on an important topic of the day, the run-up to today’s anti-corruption summit in London also served to show the risks of introducing a public register, Jersey Finance chief executive Geoff Cook says. On Monday there was a public letter from economists urging world leaders to use the anti-corruption summit to bring an end to so-called tax havens (I will correct the errors contained in that letter another time). Later that day, the deluge of data from the Panama Papers became publicly available. UK prime minister David Cameron was then overheard telling the Queen that some “fantastically corrupt countries” would be attending the anti-corruption summit, and, as the day itself approached, we began to hear talk of Oxfam’s plans to take over Trafalgar Square and create a “tax haven beach scene” to coincide with the event. But amid all the pre-summit hype, it seems a few key points got blurred. With the making live of thePanama Papers database on Monday, information about company owners, proxies and intermediaries is now in the public domain – but the really personal information from the leaked Mossack Fonseca documents is not. And their decision not to publish the most personal information is to the International Consortium of Investigative Journalists’ credit. It suggests to me that even those most fervently in favour of making information public recognise that there is a line of privacy which should not be crossed. From the hundreds of thousands of intermediaries, officers and entities mentioned in the Panama Papers, it seems that around 14,500 have so far been found to have Jersey connections. The vast majority of these were formed many years ago, and most have now been wound up. So far there have been a few small stories involving the leak which have mentioned Jersey, but there has been little controversy. Instead, the UK’s national media seem much more fixated on Harry Potter star Emma Watson, who was named in the Panama Papers as having a company in the BVI. The response she gave to the media – which published the story next to flattering photos of her – illustrates perfectly the risks inherent in a public registry. There is a difference between something that is of interest to the public (such as Miss Watson’s financial affairs, provided it’s next to a photo of her) and something that is in the public interest (which I don’t think her perfectly legal financial affairs are). A public registry provides grist for investigative journalists and NGOs. But it can be used by the malicious, not only the curious. One risk is that it’s used to identify potentially lucrative victims of extortion and kidnap. Jersey’s system, with competent intermediaries and client confidentiality, is a far more effective way of stopping corruption without the need for publicity. 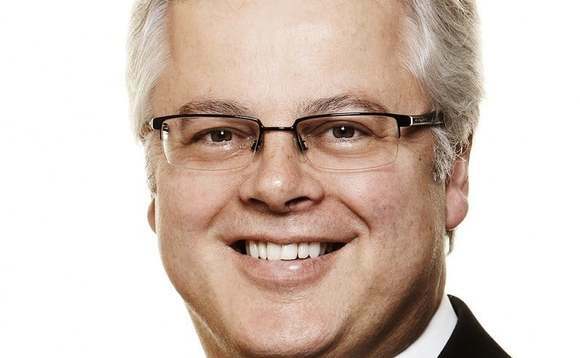 Geoff Cook is chief executive of Jersey Finance, which represents the interests of Jersey’s financial services industry. He has held the post since 2007.